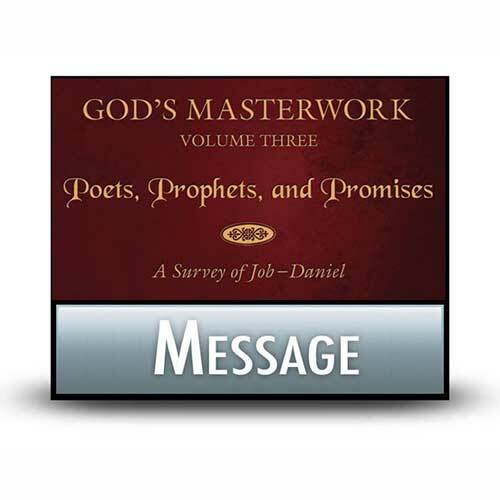 Listen to Chuck Swindoll’s overview of Job in his audio message from the Classic series God’s Masterwork. 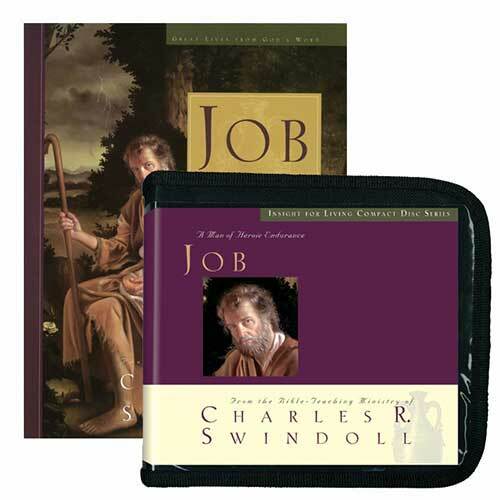 The author of the book of Job is unknown. 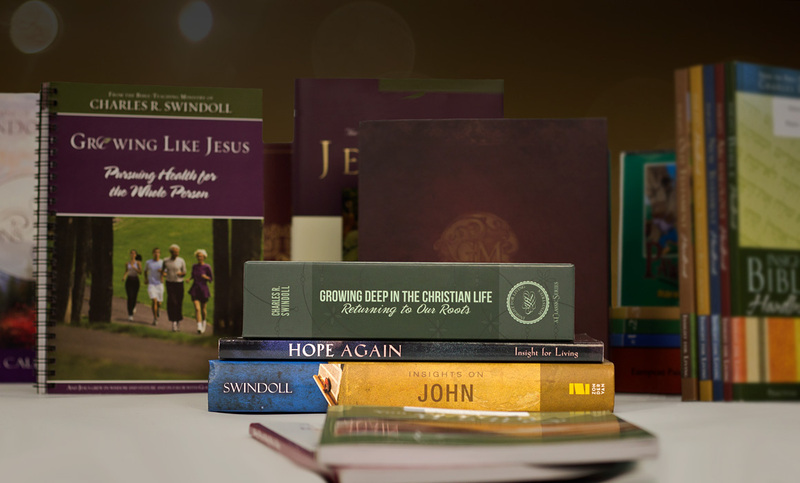 Several suggestions have been put forth as plausible authors: Job himself, who could have best recalled his own words; Elihu, the fourth friend who spoke toward the end of the story; various biblical writers and leaders; or many editors who compiled the material over the years. While there is no definitive answer, it was most likely an eyewitness who recorded the detailed and lengthy conversations found in the book. In Old Testament times, authors sometimes referred to themselves in the third person, so Job’s authorship is a strong possibility. Though the text does not directly identify its setting, internal clues indicate that Job lived during the time of the patriarchs, approximately 2100 to 1900 BC. According to Job 42:16, Job lived an additional 140 years after his tragedies occurred, perhaps to around 210 years total. His long lifespan generally corresponds to that of Terah (Abraham’s father), Abraham, Isaac, and Jacob. 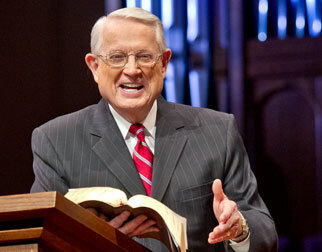 Also, Job’s wealth was measured in livestock (Job 1:3; 42:12), as was Abraham’s (Genesis 12:16). Like the patriarchs, Job used God’s unique title “El Shaddai” (God Almighty). The book of Job does not mention the Mosaic Law; indeed, Job’s daughters were equal heirs with his sons, and Job himself, though not a priest, offered sacrifices—things not possible under the Law (Leviticus 4:10; Numbers 27:8). Though we cannot be certain, Job may have lived during the time of Jacob or shortly thereafter. The final chapters of Job record God’s masterful defense of His majesty and unique “otherness”—of God’s eternal transcendence above creation—in contrast with Job’s humble and ignorant mortality. “Where were you when I laid the foundation of the earth? / Tell Me, if you have understanding” (Job 38:4). 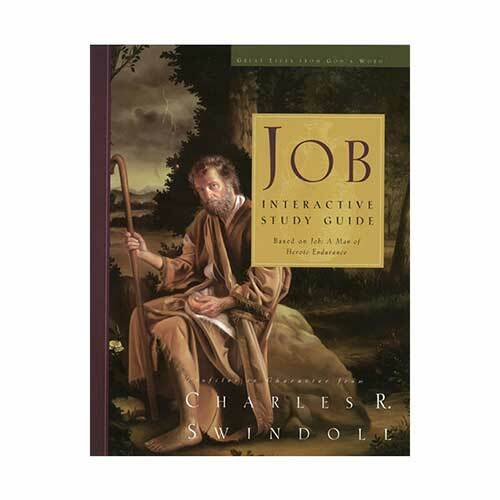 Job’s plight of undeserved suffering compels us to ask the age-old question, “Why do bad things happen to good people?” The answer given to Job may or may not satisfy the reader. God allows pain for good reason, but He may never reveal those reasons. 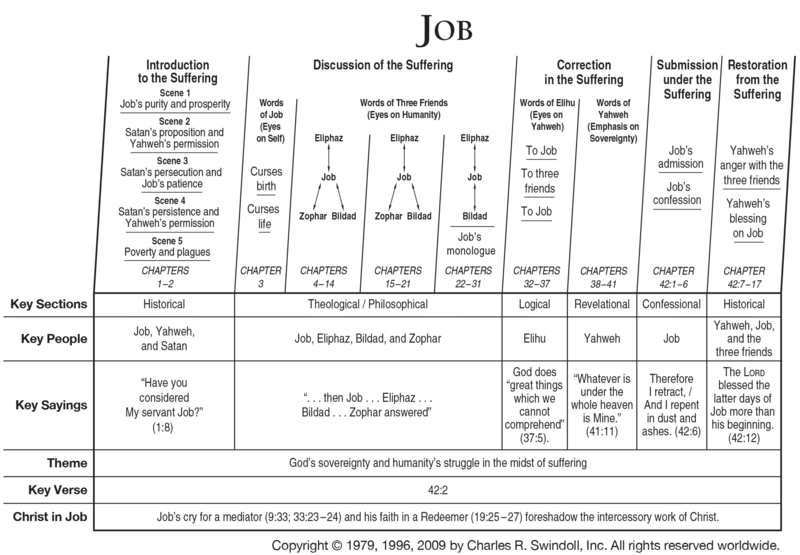 Roy B. Zuck, "Job," in The Bible Knowledge Commentary: Old Testament, ed. John F. Walvoord and Roy B. Zuck (Wheaton, Ill.: Victor Books, 1985), 718. 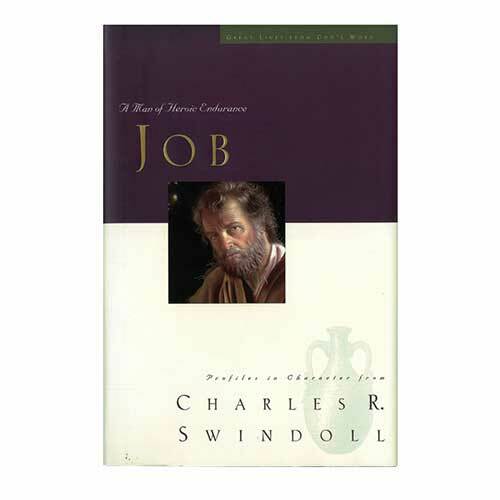 View Chuck Swindoll's chart of Job, which divides the book into major sections and highlights themes and key verses. Discover more resources related to Job.